The topic of programming languages is very hard to write about specially when you are trying to compare them. Every programming language has a very loyal fan base that are ready to defend it. But that will not prevent us from comparing two of the most used programming languages. Let’s start by defining each of these two powerful languages. PHP is a server side development language, it is used to build dynamic web sites and web applications. It has the biggest market share of all web development language accounting for 80% of the entire web (PHP is the language of choice for our web development services in Egypt)!!! This figure is unbelievable, 8 of every 10 website are built with PHP. It is used also by some of the biggest websites on the world like Facebook. PHP started as a small scripting language to do some small changes to static HTML files, but it has been developed, and became a very powerful web development language. Due to it’s popularity, PHP is used as the development language of the most successful CMS in the world called WordPress. Again WordPress is the most used CMS (Content Management System) on the internet. And in recent years a lot of modern frameworks have been built with PHP like Laravel, and Symfony. 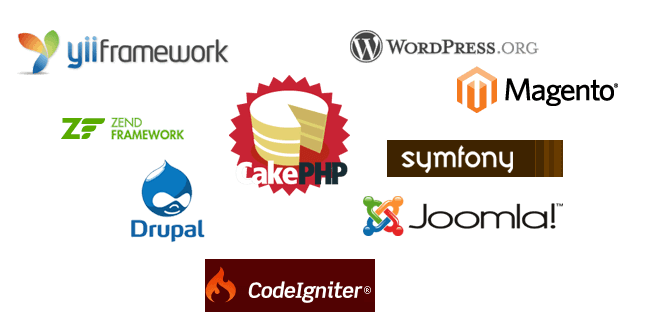 This huge CMS, and framework helped PHP to offer highly scalable and complex web applications. PHP can be used to build e-commerce websites, social networks, online communities, and many complex applications. An example of how PHP can build highly complex web applications is Magento. Magento is an e-commerce CMS that can be used to build online stores with thousands of products. Python is a general purpose programming language. general purpose languages can be used to build build anything, it can be used to develop websites, or build desktop applications. It has seen a lot of growth in 2017 as it was considered one of the most growing programming languages (according to Stackoverflow). While both programming languages can be used to build complex web applications. We still think that PHP is by far the best web development language for this task. PHP is easy to use, well supported by all hosting companies, and has a lot of frameworks, and CMS to help developers build web applications easily. Python on the other hand is great in some areas but very limited in building web applications. Python only has two frameworks Django & Flask. and doesn’t have any good CMS system. Python is better suited to data science, and machine learning fields.